Nickelodeon's Rise of the Teenage Mutant Ninja Turtles reimagines the iconic IP and returns to its comic book roots. When the iconic characters of beloved series Teenage Mutant Ninja Turtles stormed out of the sewers and back to TV in 2012, the CGI-animated series was a hit. So after five successful seasons and multiple Emmy nominations, Nickelodeon wasted no time developing the brand’s next iteration, Rise of the Teenage Mutant Ninja Turtles. Now in 2D animation, 26 episodes were announced at Nick’s 2017 upfront months before the final episodes of the previous series had even aired. 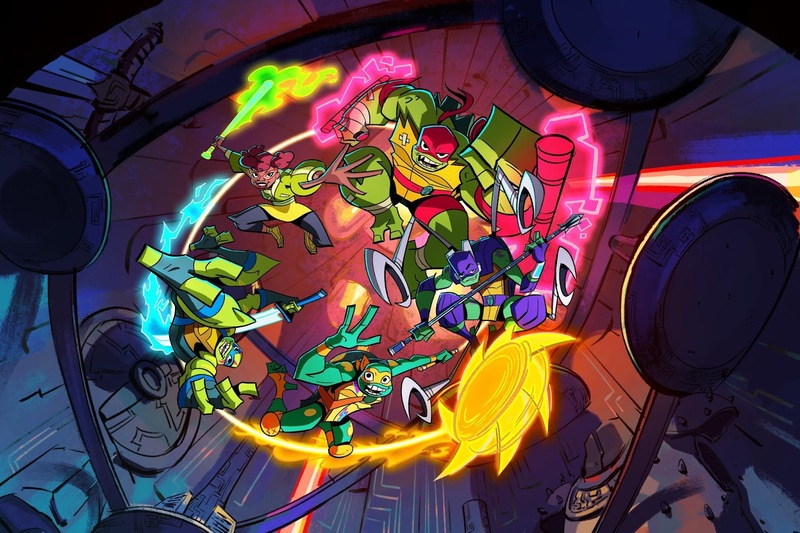 “It was a very fast development process, but we came in with a clear vision that helped us expedite the production,” the show’s executive producer Ant Ward, who signed on after serving as a supervising producer on the last TMNT series, told Kidscreen. As further testament to the power of the brand, Nick ordered a second 26-episode season in July before Rise of the TMNT premiered on September 17 in the US and began rolling out globally across Nickelodeon’s channels and branded blocks in 170-plus countries and territories. With a younger, lighter tone for its 11-minute episodes, the action-comedy finds the turtle brothers in possession of new mystical powers as they set out on crime-fighting adventures in New York City with their human friend April O’Neil (voiced by The Vampire Diaries' Kat Graham). Joining Ward as Executive Producer is renowned character designer and TMNT newbie Andy Suriano (DuckTales, Mickey Mouse shorts). Suriano says this series presents the turtles as more multi-dimensional characters. “If you were to describe each of the turtles, traditionally Mikey is the funny one, Donatello is the smart one, Raphael is the angry one, and Leo is the leader. But last time I checked, leadership isn’t a character trait, so we purposely mixed things up and removed the mantle of leadership from Leo so we could explore his character in other ways,” says Suriano. Despite the pressure of following up the last series so quickly, Ward says the previous series freed up the production to try new things. “Because the last series did so well in paying homage to many of the other iterations of TMNT, we didn’t feel the need to retell or recall certain things. We could create new storylines, villains and canon,” he says. Aesthetically, the new show’s 2D look harkens back to the original TMNT comic book series created by Kevin Eastman and Peter Laird, and pulls from French comic books from the ’70s in its use of color. We met up with Josh Brener – the voice of Donatello – at New York Comic Con to discuss the popular revival. If you’re living under a rock, the iconic Teenage Mutant Ninja Turtles series is back on television! Airing all over Nickelodeon, you can now catch your favorite gang of pizza-eating, Cowabonga spitting turtles in Rise of the Teenage Mutant Ninja Turtles. The first episode of the new revival aired on July 20, 2018 and follows the four turtle brothers – Raph, Leo, Donnie and Mikey – as they encounter new allies and villains and discover a magical world they never knew existed beneath the streets of New York City. 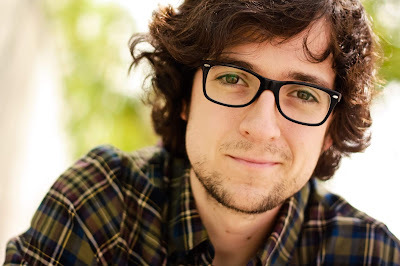 You might know funny man Josh Brener from some of his popular projects like Silicon Valley, but now he’s taken on the iconic role of Donatello! We caught up with the busy actor to learn more about the show and what fans can expect from his version of the lovable turtle. CS: For those you don’t watch, what can they expect for this revival? CS: What drew you to this role? Were you fan? CS: The fandom is real when it comes to the Turtles! CS: Who was your favorite ‘Teenage Mutant Ninja Turtle’? CS: What’s the working process like for you and the rest of the cast? CS: Do you have a favorite type of pizza? CS: For you – what do you think you brought different to the role of Donatello? CS: Any secrets you can tell us about the making of this revival?